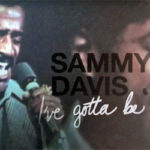 Sammy began the process of turning his life around, part of which involved throwing himself into his next being project – a return to the Broadway stage in a book musical, a revival of Stop The World – I Want To Get Off, written by his favourite songwriters, Leslie Bricusse and actor Anthony Newley. Sammy played the central role of Littlechap, a part made famous by Newley in the show’s early 1960s runs on the West End and Broadway. Following successful tryouts in San Diego, Los Angeles, Chicago and Toronto, the show opened at the New York State Theatre in August. The production met with mixed critical reaction in New York and wasn’t extended beyond the planned three week run. At the age of 55, Davis’s approach to life was changing, as he told Ebony magazine in 1980: “I used to sleep on the couch all the time because I didn’t want to miss anything. I had to see everything, to be everywhere, to do everything. That’s over. I no longer care about appearances. Appearances don’t make for a happy life.” Instead, Davis was slowly cementing himself as an elder statesman of the entertainment industry. The industry was largely the focus of his second book, Hollywood In A Suitcase, ghost-written by Brit Simon Regan, and published in September 1980. The book was an anecdote-filled semi-biographical homage to his life as a Hollywood star, and it sold well. His career’s general upswing continued in May 1980 with his involvement in his first big-budget motion picture in 10 years, Cannonball Run. 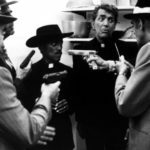 Burt Reynolds was the star and Sammy was paired with friend Dean Martin as two Las Vegas crooks disguised as priests. The movie was a big hit, the 6th highest grossing film of 1981. Three years later they filmed the sequel, Cannonball Run II, in which Frank joined in with a cameo. In November 1980, Sammy made his fourth appearance, the first in 14 years, at a Royal Command Performance at the London Palladium before Queen Elizabeth The Queen Mother. The same month, Sammy received a Lifetime Achievement Award from the Friar’s Club. Part of Sammy’s improved act was attributable to the fact that he had given up alcohol. While Davis had long since given up the drugs and associated partying, alcohol had remained a vice until a medical scare in November 1983. Suffering a jaundiced liver, his abdomen was lanced and drained. His doctors told him: “Not another drop of alcohol. If you return to drinking you will die quickly. And painfully.” Davis heeded the warnings, turning to strawberry crush as his libation of choice. It wasn’t his only health care during the 1980s – a lifetime of tap dancing had worn down his joints and he underwent reconstructive hip surgery in November 1985, and a full hip replacement in December 1987. He fully recovered from each procedure. 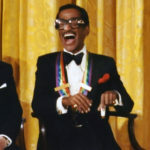 In late 1987, Sammy was chosen for a Kennedy Center Honor, annual awards given since 1978 to those in the performing arts for their lifetime of contributions to American culture. The weekend-long ceremony culminates in an early-evening White House reception hosted by the President of the United States and the First Lady, followed by a star-studded gala celebrating the Honorees in the Kennedy Center Opera House. 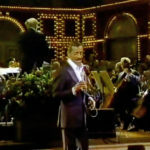 In 1987, Sammy joined singer Perry Como, actress Bette Davis, virtuoso violinist Nathan Milstein, and choreographer Alwin Nikolais as Honorees. Lucille Ball presented a tribute to Sammy, followed by performances by tap dancers The Nicholas Brothers, Chuck Green, Jimmy Slyde, and Sandman Sims. Ray Charles sang “The Birth Of The Blues”. Sammy considered it the greatest honourof his career. 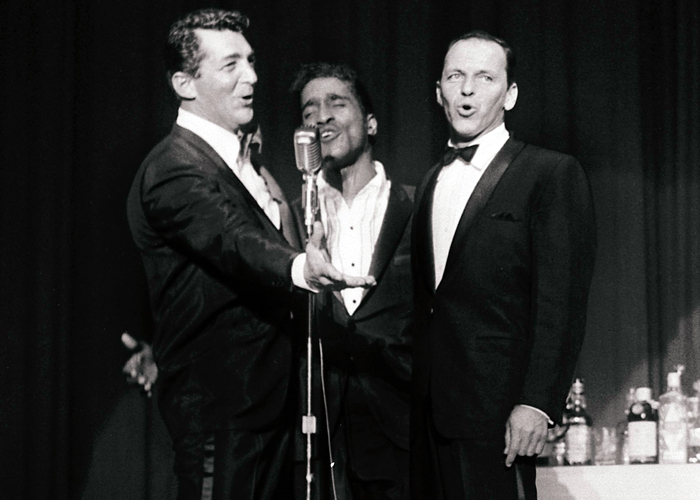 Throughout this period, as well as performing individual engagements, Sammy enjoyed performing with his friends. He regularly teamed up with pals such as Billy Eckstine, Sinatra and Dean Martin, Count Basie, Sarah Vaughan and Buddy Rich. His more frequent collaborator was Bill Cosby, with whom he partnered in 1983, 1985 and 1988 for performances billed as ‘Sammy & Cos: Two Friends’. Sammy also teamed up for an HBO special in 1988 with Jerry Lewis. 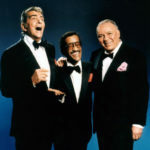 In late 1987, perhaps spurred by the fun of a three-night run with Sammy at the Greek Theatre in August that year, Sinatra proposed a reunion tour for himself, Dean and Sammy. Dean agreed reluctantly, having settled into a fairly comfortable working retirement at the age of 70. They held a press conference to announce the tour which made headline news around the world, and venues sold out within hours. Instead of nightclubs, or casino showrooms seating between 500 to 1,500, they would be playing arenas seating 10,000 to 25,000 for the first time in their careers. The ‘Together Again’ Tour kicked off at the Oakland Coliseum on 13 March 1988. Dean struggled with the lyrics and staging and, moreover, his heart just wasn’t in the late-night hell-raising that Sinatra had in mind. He lasted 5 shows before flying home and checking into hospital claiming a kidney ailment. Sammy and Frank completed 11 further shows as a twosome before suspending the Tour. Liza Minelli was chosen to replace Dean, the Tour was rebranded ‘The Ultimate Event’ and kicked off again in September, finishing its US leg in Miami in January and then heading to Japan, Australia and Europe before finally concluding in May 1989. In May 1989, Sammy published his third book, an autobiography titled Why Me, written with the co-authors of his 1966 autobiography Yes I Can, Burt and Jane Boyar. After providing a brief summary of Yes I Can in its initial pages, the volume covers Sammy’s life up to the launch of the ‘Together Again’ Tour. 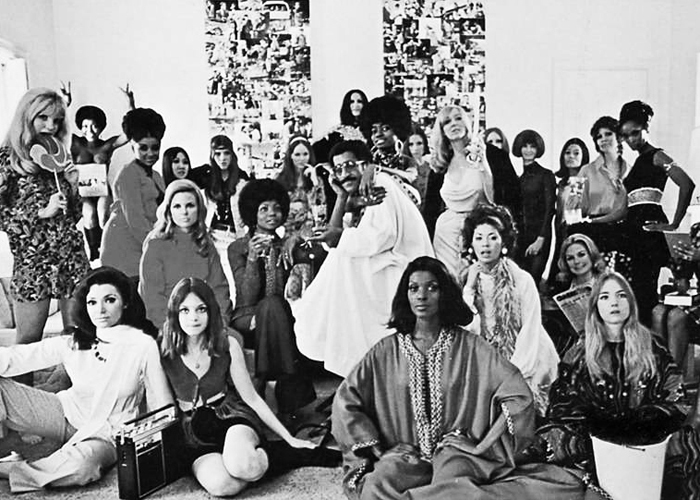 Davis was painfully candid about the breakdown of his marriage to May Britt, his struggles through the 1970s, and his point of view regarding his involvement with both JFK and Richard Nixon. 1989 also saw Sammy’s last entertainment appearances. He guest starred on The Cosby Show as an illiterate grandfather in a turn that garnered him an Emmy Nomination for Outstanding Guest Actor in a Comedy Series. He played the role of a wise hoofer, Little Mo, in tap legend Gregory Hines’s 1989 movie Tap. 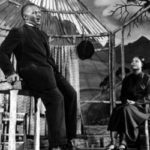 Finally, he played a jazz sideman in The Kid Who Loved Christmas, a TV movie with an all-black cast that started filming after Sammy received bad news – he had a cancerous tumor in his throat, as a lifetime of smoking caught up with him. Faced with surgery to remove the tumor, and part of his voice box, Sammy opted instead for radiation therapy, starting in September 1989. Initial signs of recovery were good, but the cancer returned in early 1990. In November 1989, producer George Schlatter assembled a phenomenal cross-section of Hollywood royalty to pay tribute to Sammy, ostensibly as a celebration of his 60th Anniversary of being in show business, but most knew the event was more of a farewell. 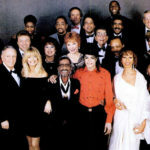 Hosted by Eddie Murphy, the TV special featured tributes and performances from stars such as Whitney Houston, Clint Eastwood, Gregory Peck, Dionne Warwick, Bob Hope, Jack Benny, Milton Berle, Ella Fitzgerald, and of course Frank and Dean, while Michael Jackson sang an original piece composed for the occasion, “You Were There”. Sammy briefly joined Gregory Hines on stage for a touching tap routine during which Hines sank to his knees and kissed Sammy’s tap shoes. The special won an Emmy for Outstanding Variety, Music or Comedy Special. Sammy’s last public appearances were as Grand Marshal of the Hollywood Christmas Parade and receiving a Hall Of Fame Award at the Annual NAACP Image Awards. At the latter, he was introduced by Sidney Poitier and received a lengthy standing ovation. Sammy was back in hospital in early 1990 before being sent home in March, where he died on 16 May 1990. Sammy was survived by his wife Altovise and his children Tracey, Mark, Jeff and Manny. Lights were dimmed on the Las Vegas strip as the world lost an immense talent who left an unsurpassed legacy as an all-round entertainer.